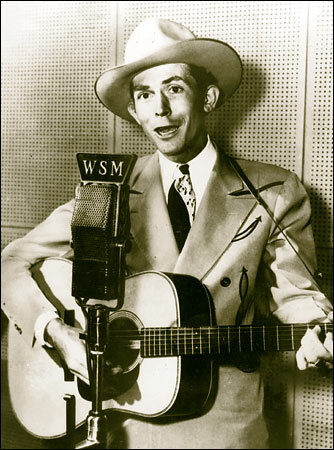 The immortal Hank Williams (Sr.) might have felt right home at this year’s Mid-America Trucking Show (MATS) For sure, the downbeat mood this time around at what is annually trucking’s greatest event would furnish great material for one of the greatest American songwriters to pen a real old-time, bluesy honky-tonk hit. Maybe he could title his MATS-inspired song: “How times have changed. And gone and changed again. “ I say that based on what I saw at my first MATS about 25 years ago and what I’ve seen at the Kentucky Fair & Expo Center every March since until this year. My initial MATS was back when the International Trucking Show (ITS) was trucking’s big yearly gathering. ITS was held alternate years in Anaheim and San Francisco as it was sponsored by the California Trucking Assn.-- that way they could nod to their members in both the southern and northern halves of the Golden State. I was sent to MATS that first time on a fine March spring day by my then boss to check it out, as he’d heard it was an up-and-coming show. I flew into the Louisville Airport—which is practically across the street from the fairgrounds—took a cab over and walked the show floor for a few hours and then flew right back out again. There were no media events whatsoever and the show still had something of a regional (per its name!) feel to it rather than a national let alone an international one. But very quickly after that, MATS—which had been launched in the early ‘70s-- began to really catch on with attendees and then of course with exhibitors. No doubt its central location close to major highways, plenty of on-site truck parking and reasonable Kentucky prices for lodging etc. has had a lot to do with that. And the pork-chop sandwiches are a big draw, too. In any event, MATS began to seriously eclipse ITS by the early ‘90s and by the end of that decade, was secure in its position as trucking’s Number One Big Deal must-be-seen-at show. And I do think MATS will remain in that top slot for the foreseeable future—but you would not know it from visiting the event this week. What’s going on in Louisville closely reflects what’s happening in trucking and right across our wounded economy. MATS attendance is way down. I have no official numbers, of course, but it so spotty today—the first full day of the show—that it’s possible to park within a short stroll of the front door. There are plenty of exhibitors, of course, at what show management still proudly bills as the “largest heavy-duty trucking trade show in the world.” All the Class 8 truck OEMs are there—save for Kenworth and Peterbilt, which both opted out of the show altogether this year-- as well as the leading suppliers of engines and other major components etc. etc. But along with the falloff in foot traffic there is a discernible downsizing of media events, even compared to last year. With the notable exception of a big production put on by Navistar on the eve of the show, suppliers are being very circumspect and either skipping media briefings altogether or scaling them way back from what were, frankly, often excessive and ostentatious events in the past. From around the show floor, the word from top OEM and supplier executives is they feel there are plenty of fleets out there with the cash on hand to buy trucks. Problem is those fleet owners are forced to play a waiting game. They need to see freight coming back before they can sign off on buying new trucks—gee, now there’s a lesson for Wall Streeters to chew on! Meanwhile, as they wait on the economy to bring on the freight, their fleets are aging and so their maintenance costs are climbing.